When setting up a new pasture system—whether transitioning to organic or improving a new system—it may be useful to use an aerial photograph or survey map. The organic certifier will require copies of maps for all fields anyway, so make extra copies. Colored pens are useful to draw the existing or planned lanes, fences, paddocks, and water lines. When subdividing the grazing land into paddocks, here are a few things to keep in mind. Initially, keep the system as flexible as possible to allow fences and water lines to be moved as the herd size changes, grazing skills, and pasture quality improve. Permanently fenced paddocks or larger permanently fenced areas can be subdivided into smaller paddocks with temporary fences, or can be strip grazed with a front and back fence. Put lanes on high, dry ground. Improvement and maintenance may be needed on muddy wet areas. Some areas will grow faster than others, so whenever possible, try to put fast growing areas in one paddock and slow growing areas in another. Consider topography and keylines—put south facing slopes in one paddock and north slopes in another. Depending on the local climate and management system, it may be good to include shade in some pastures. In cool weather, however, it is advantageous to minimize shady loafing areas, where animals tend to congregate and concentrate manure. Try to provide water in each paddock so animals do not have to walk to find it and drop manure around permanent water tubs. Do not forget to check with the organic certifier about any required buffers between pastures and any adjacent non-organically managed land. Put gates in the corner of the pasture closest to the barn. Attend a pasture walk, visit other grass-based farmers and learn from their experiences. When designing a grazing system, a look at infrastructure needs is a good start. Check with the local USDA Natural Resources Conservation Service (NRCS) office for available cost-share and other programs that may help pay for fence, lanes, water systems, and other costs of setting up the grazing system. 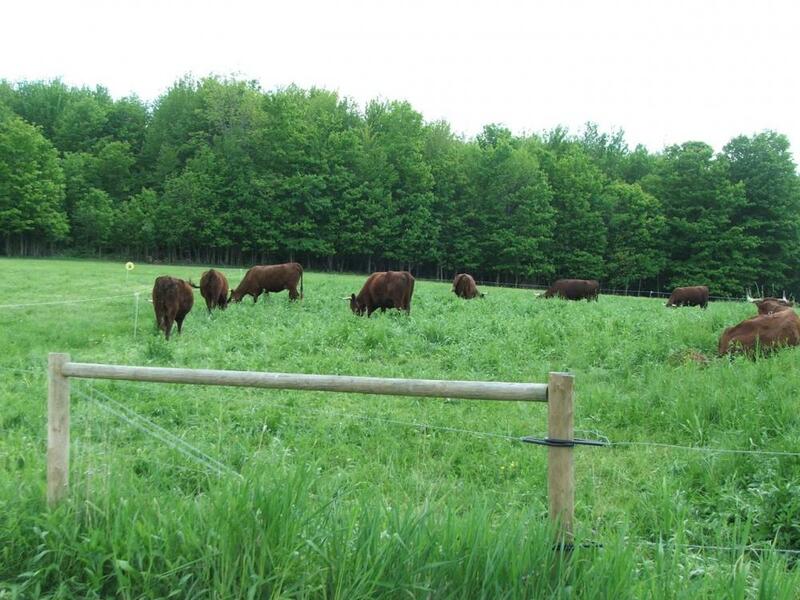 Electric fence technology makes management intensive grazing (MIG) management much easier. Start with a good quality, low impedance energizer and ground it correctly. It is also helpful to have high quality perimeter fencing that can conduct electricity with minimal resistance. High tensile fence using 12.5 gauge wire requires the least maintenance and has the best conductivity over time (see Figure 1), but other types of steel wire fence of at least 14 gauge will also make a good perimeter fence. Most farmers use some kind of portable fencing to subdivide larger areas. There are significant differences in the quality of energizers, portable posts, and polywire, so it pays to do some research before purchasing them. There are also several types of lightning protection available for energizers. Check with the organic certifier before using any type of treated fence posts, as many of these are prohibited in new installations on organic or transitioning farms. Figure 1. High tensile fence and interior subdivisions with portable fence posts and polywire on northern Vermont farm. Photo credit: Sarah Flack, Sarah Flack Consulting. Water can be provided in paddocks several ways. If piping water to pastures is not possible, small herds can use a tank on a wagon parked in the pasture. Some systems pump water from a pond, well, or stream to a tank. If using pipe to provide water in each paddock, use a large diameter pipe (1 to 1.5 inches) so the water pressure does not drop too much as it travels the length of the farm. USDA NRCS or Cooperative Extension may provide detail on how to size water tanks and pipes. Water lines can be buried, or pipe can lay on the ground along a fence line or a lane. Most farmers prefer to keep the pipe above ground so it is accessible for repairs and can be relocated if needed. Water tubs can be small and portable as long as the water flow rate is fast enough to keep them full while the herd drinks (see Figure 2). Larger, permanent tubs may be easier if the water flow rate is slower or if the herd is large. It is less expensive to have a few portable tubs than many permanent tubs. Wherever the water source is, use a float valve to control water flow. Figure 2. 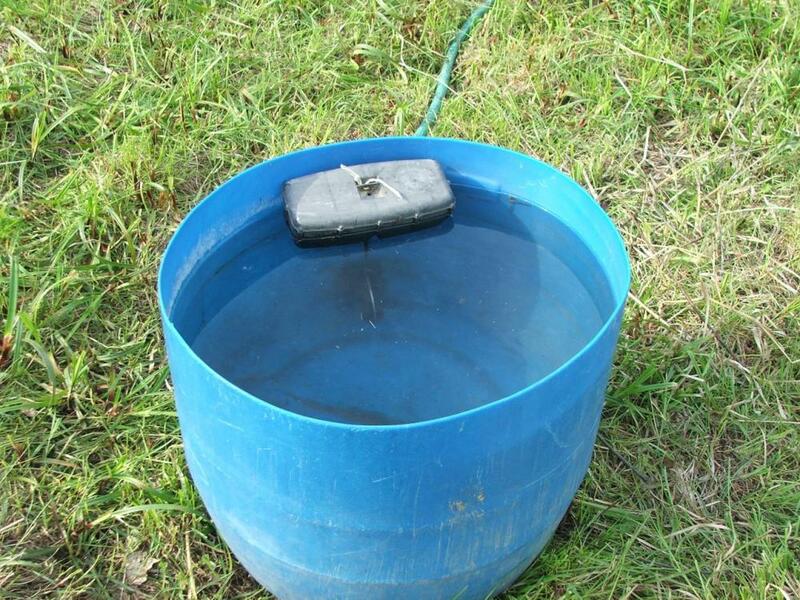 Portable pasture water tub with float valve. Photo credit: Sarah Flack, Sarah Flack Consulting. Sometimes, stationary water systems—where cows walk to drink from a tub near the barn or near a spring—may be the only option when setting up a new grazing system. Drinking from ponds or streams may also be possible but only if well-managed so that water quality is excellent and erosion is prevented. Check with the local NRCS office and organic certifier to learn about their guidelines. Particularly during wet spring and fall weather, having well-built lanes (see Figure 3) in the right locations will make managing pastures much easier. Dry, well-surfaced lanes can also help prevent hoof injuries and other problems. 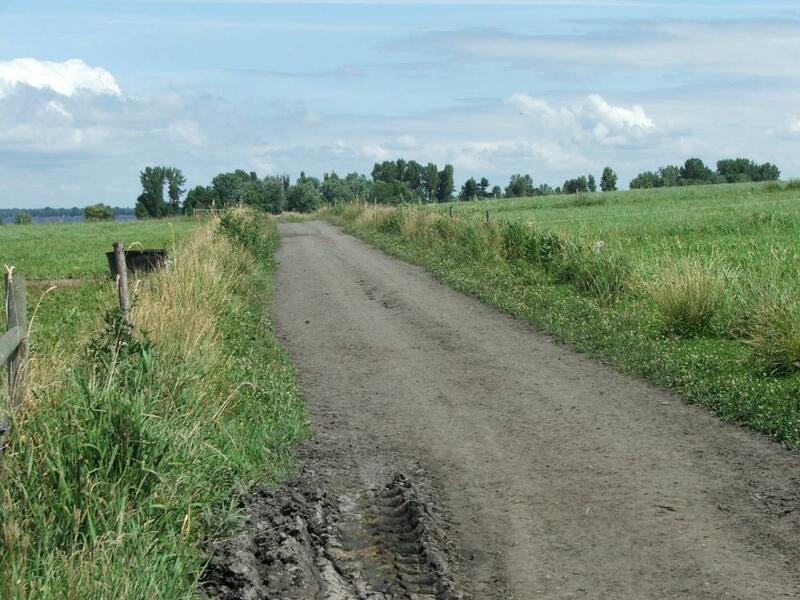 In wet areas or heavily used lane areas, a road-building filter fabric used under the gravel will create longer lasting lanes that require much less maintenance. In some areas, additional work such as culverts and erosion control may be needed. Figure 3. The main lane from the barn to the pastures allows access to paddocks on this Vermont farm. High tensile fences and water lines are parallel to the lane. Photo credit: Sarah Flack, Sarah Flack Consulting. There are many factors to consider when managing cows during hot weather. These include temperature, humidity, the type and quantity of shade available, the types of facilities on the farm, cattle breeds, and how well cows are adapted to the local climate. Some hot weather strategies include the following. Graze "shade pastures" that are set aside for the hottest summer days. Keep cows in the barn (if it is cool) during the hottest days and graze at night. Move cows more frequently to high quality pasture. Use sprinklers or portable shade structures (portable shade structures can be moved around to help distribute manure more evenly). Provide ample drinking water in each paddock.